When a workplace resembles an atelier . . .
here, a street-facing creative space. 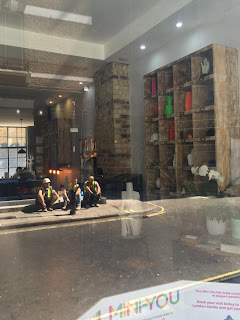 I love the way Soho continues to reinvent itself. 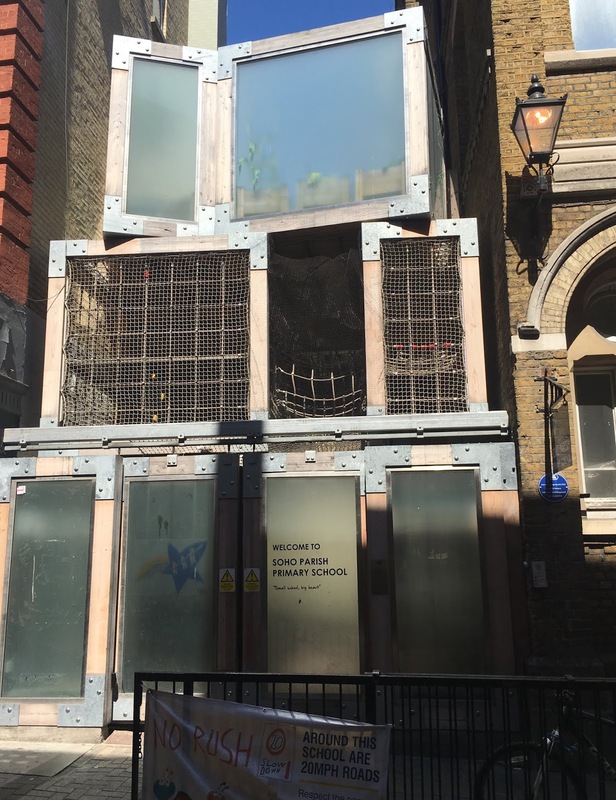 This is the entrance to Soho Parish Primary School - an extension (with larger, particularly inventive and safe play areas) built by Erect Architecture that opened a few years ago. 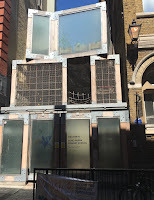 Walk down Great Windmill Street, turn right into Ham Yard, retrace your steps, cross Brewer Street and walk up Lexington Street to discover the glam that high quality design can contribute while preserving the original street pattern and the useful local shops that people living in or near the area rely on.